For people who have a business based on transportation, you need a truck that’s ready to work when you are. 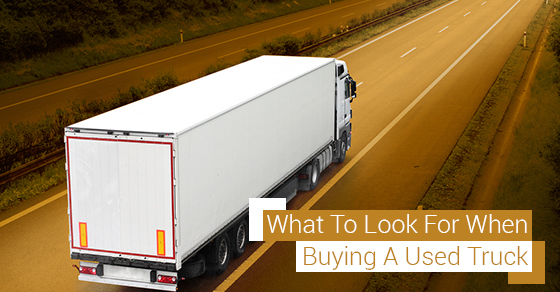 When it comes to used trucks, leasing is your best option. 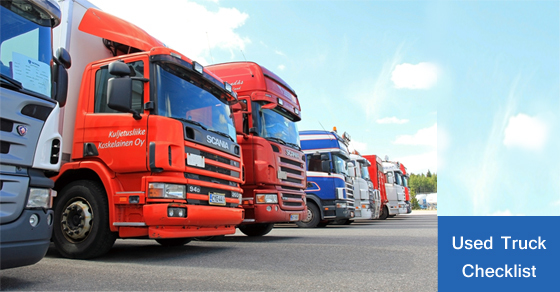 Reputable leasing companies will have a fleet of trucks in great condition whenever you need one, but if you’re looking to purchase a used truck, there are some cautions to be had. Before submitting a bid at an auction, you should inspect the vehicle either by yourself or with an expert such as a trusted mechanic or an experienced truck operator. What Are You Transporting and Where? Your truck should be able to carry the weight of your typical cargo and over the terrain to your delivery destination. The truck will need enough horsepower and capacity to do so, but you should also check the transportation regulations which may not allow for certain axle configurations. Even if you have limited experience in fixing cars and trucks, you’ll likely be able to check for a few things by looking at the engine. Begin by turning on the engine. If you hear a knocking sound, there may be something significantly wrong with it. You should also look for leaks, as these can lead to costly repairs. At this point of your inspection, a few minutes has passed with engine on. Look up towards the exhaust pipe, which should not be emitting any smoke at this time. White smoke is a signal that the engine burns oil and may not meet the emissions standards of your province. If you’re curious about how mileage factors into the decision, buying a used truck with 400,000 to 500,000 kilometers means that there is some wear and tear on the truck, but with proper maintenance, you can still get great use from it. One option is to purchase an out-of-frame or in-frame overhaul to give your truck a boost in performance. The maintenance logs will tell you how well cared for the truck was. Regular oil changes, air filter replacements, brake pad replacements, and other trips to the mechanic will confirm that the necessary expenses were made in order to make the truck last. This point may be obvious, but any visible rust or damage to the exterior of a truck should set off red flags. Minor rust and damage may be easily repaired, but any sustainable structural damage could break the bank. Rust developing around the frame is especially problematic. Purchase a used truck that still has many miles to be had, not one that will fall apart driving over its first pothole on your most important route. Do not underestimate a little rust – it could turn your investment into a worthless one. Step inside the cab and examine the condition and cleanliness of the interior. The amount of wear should be reasonable for the truck’s age and mileage count. Make sure to do this in daylight. A well-lit lot will conceal defects and hamper a good inspection. When inspecting the truck, be sure to test the headlights and brake lights. If some are not working, determine whether the bulbs need replacing or if the issue runs deeper. Properly functioning head and brake lights are essential for a safe ride. Check the truck’s brake pads on site to estimate their life expectancy. If they are a little worn – don’t fret. The truck may still be a good investment. Replacing brake pads is a relatively inexpensive, yet vital, repair. Go the extra mile and in a safe place, try a panic stop to see if the brakes work well. On the same test drive, drive on a rough road to see if the shocks do what they are supposed to do. If they truck is bouncing more than a few times over bumps, the shocks are probably worn. Tires are an expensive necessity, so make sure the truck you are thinking about purchasing has proper tires. Poor tires aren’t a deal breaker on an otherwise fantastic truck, but it is still smart to determine their quality. Odometer tampering is used to deceive buyers. Although mileage in new models is more difficult to tamper with, you need to still be observant. You can determine whether or not you are being deceived or not by checking for a few things: a large number of pits on the windshield; excessive wear on the brake pedal; and excessive wear on the upholstery and armrests. Don’t be fooled by a low mileage count if the interior looks older than it should. See how she moves. Along with a partner (two pairs of eyes and ears are better than one), drive the truck for approximately 10 miles. Then, shut the engine off – allowing it to cool for a moment – and start it again. If the engine hesitates, have the truck inspected. You should also check the transmission by accelerating slowly to see if it shifts up smoothly. If you have any questions about purchasing a used truck, contact us to speak with one of our specialists.